Wednesday 13 is a horror punk band, fronted by Wednesday 13 of Maniac Spider Trash, Frankenstein Drag Queens From Planet 13, Murderdolls, Bourbon Crow fame. The group formed in 2004 and continue to play. The genre of music is a mix of death rock and punk with lyrics heavily inspired by horror movies. All music and lyrics are written by the vocalist Wednesday 13. 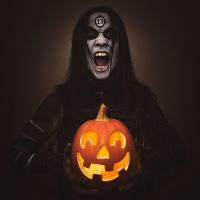 All guitars, bass, keyboards and vocals on the recordings are by Wednesday 13. Coner drummed on their debut album, whilst Kid Kid and Piggy D provided some backup vocals. After Wednesday 13&apos;s primary band the Murderdolls went on hiatus, he went on a solo tour of the United Kingdom in March 2004, called the "Graveyard A Go-Go" tour. For his live performances he was joined by members of Florida horror punk band Death Becomes You, though this was not meant to be permanent. Do you promote/manage Wednesday 13? Login to our free Promotion Centre to update these details.